During the week one of the things I can’t stand is my kids fighting over screen time. I also can’t stand the fact that the second they all walk in the door from school they immediately think it’s time to jump on something and play games or watch videos. 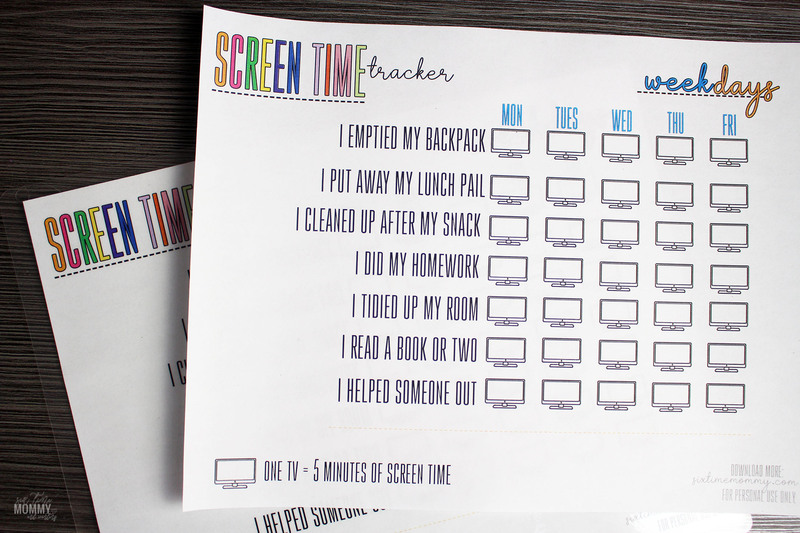 So, I created this FREE Printable Weekday Screen Time Tracker For Kids. 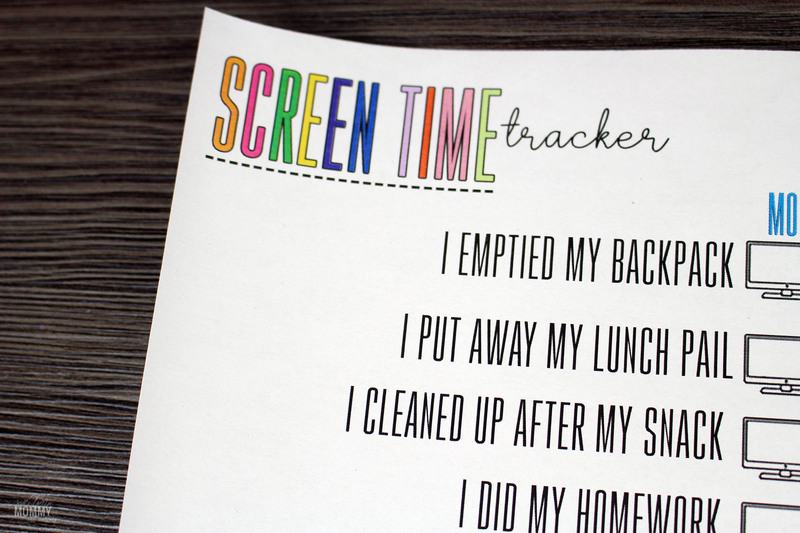 During the week when they get home from school there is something they need to do in order to earn screen time. This tracker helps us keep track of what they’ve done, so we know how many minutes they get on the screen. This works so well with Justin and Jackson, who are 5 and 7. They are the ones I have such a hard time with as soon as they walk in the door they want to fight over the tv or fight over the PS4, or my iPad. This gives them some stuff to do to earn some time and it also shows them they don’t just get to do what they want when they want, they have to work towards it! Everything on the list is age appropriate for every child that is school aged. The chores are easy but also things they are (or should be) expected to do after school anyway. So, it just gives them a little nudge in the right direction. 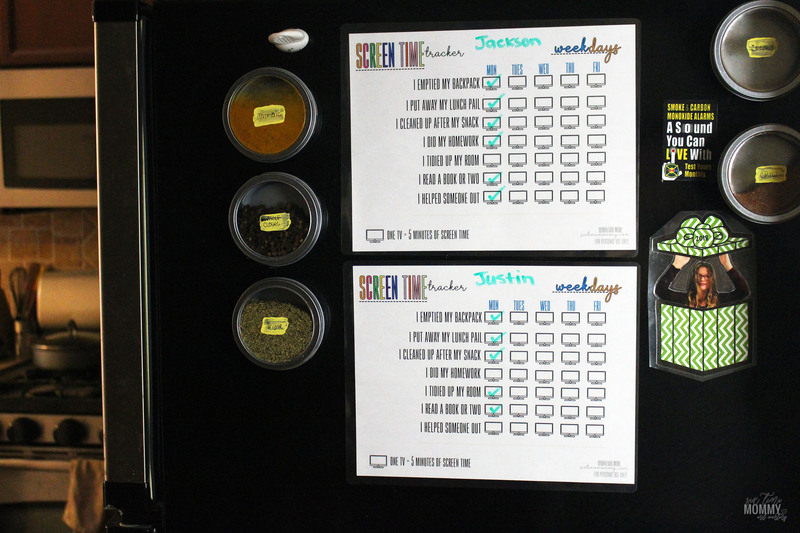 Print the tracker out and you can do what we did and laminate it, making it reusable when you use dry erase markers and putting magnet strips on the back to stick on your fridge or you can just print it out on normal paper and stick it to your fridge with magnets! 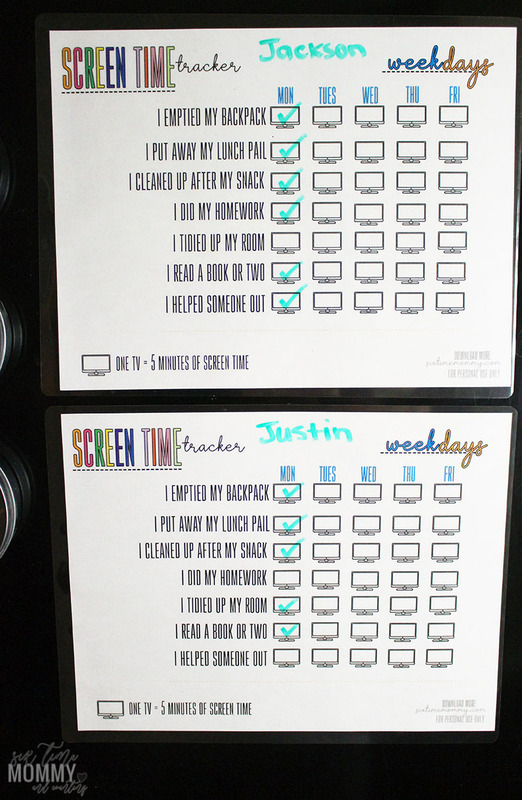 Every day after school the kiddos can read what they have to do, and as they go about doing each chore they can put an X or checkmark in each box. Each checked box earns 5 minutes of tv, iPad/iPhone, or gaming system. If they check each one off the list they’ll get 35 minutes per night of free screen time. Which is a great amount of time for screens in the evenings after school! You can adjust accordingly, or change things up if you want – this is just how it goes for the standard printable I created. At the bottom, I put “I helped someone out” with the intention of having them either help mom or dad, help a sibling or even a neighbor or friend with something. It’s a great way for them to learn how to be pro-active helping others.